A clutch, if crafted correctly, is the ultimate conversation starter. Alia Zaki founded L'Alingi, a luxury clutch bag brand based in London, in February of 2017. 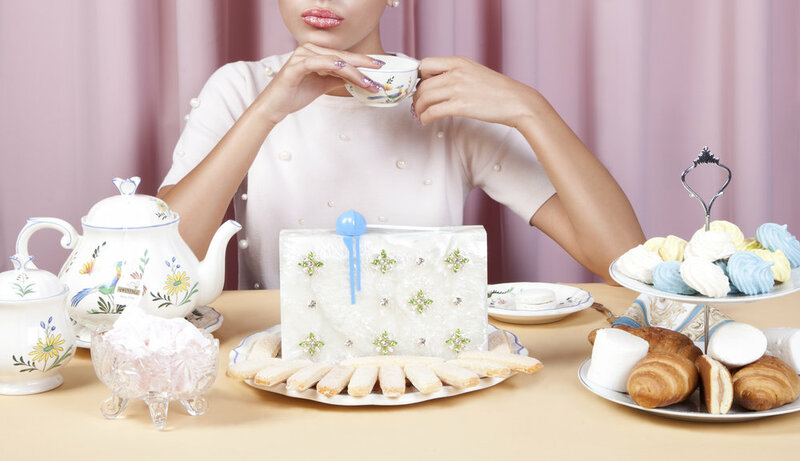 The clutches have been garnering attention on social media for their ability to incorporate deliciously curated confectionary items into everyday wear. The L'Alingi girl is young and ambitious, wise and accomplished, but always carries an element of surprise, in this case it's her candy adorned clutch. The bags are made mainly of acrylic infused glitter, as well as a variety of infectious materials. 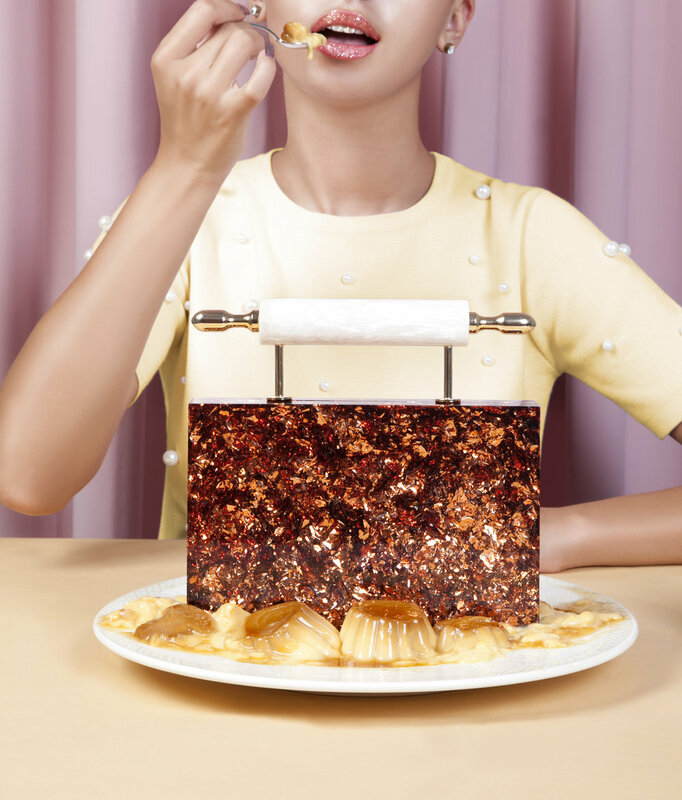 Alia sited her inspiration for the brand as coming from the most mundane of objects, such as a spoon, an ice cream scooper, a lollipop, specifically the first collection's inspiration sprung from her trip to Japan and the exposure she got to the Japanese fake food movement. It caught her eye, as like many of us, she has a sweet tooth and admiration for anything that adds playfulness to our adult lives. "The items I choose to incorporate are not as random as they might seem. It has to serve a functional purpose but also aesthetically grab attention. Some of the pieces which got great recognition - the ice scream scooper clutch for example - will be adopted as classics and carry over to future seasons." - Alia Zaki, Founder of L'Alingi.